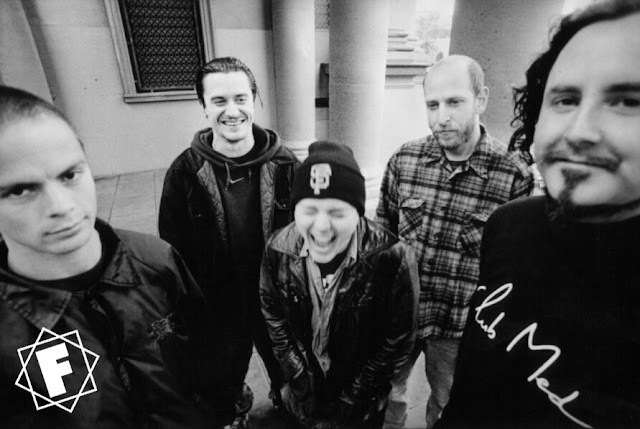 California, the third and final album by Mr. Bungle, was released in July 1999. It stands today as a fitting end to their almost twenty year long music career together. 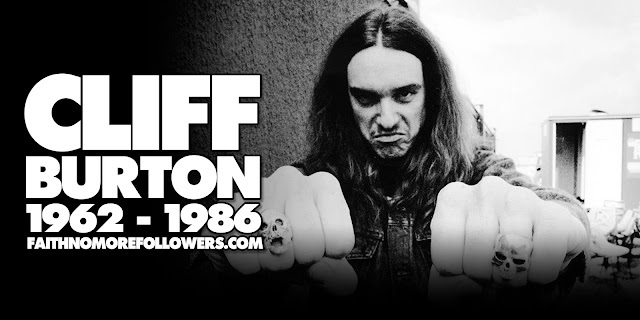 Arguably their best album, it is a wonderfully imaginative and perfectly produced record including some of the best songs ever written by the band, or any band for that matter. The mixture of lounge / jazz / pop, with middle eastern / surf rock flavours is, of course, unclassifiable. California set the tone for many projects by the band members to follow: the sound that Trey Spruance would further explore with Secret Chiefs 3, the music of Mike Patton's Mondo Cane and Bär McKinnon's Umläut all seem to trace their roots to this recording. Trevor Dunn has become a regular contributor to our website and is always keen to talk about Mr. Bungle's history. He kindly took time away from his work with Qui to give us a little insight into this astounding album. In our last interview you revealed that California is the album that are most proud of? Could you explain why? I think that each of the three albums has it’s own personality and I don’t mean to create some sort of hierarchy with them. The first record is the result of irreverent youth, the second represents a sort of identity crisis associated with “growing pains” and self-reflection. For me, California is the culmination of a lot of individual and collective thought and a deeper understanding of orchestration and song form. There is something more mature about it and I suppose I say this mostly from a subjective vantage point, namely in regards to my own song-writing. That said, California is almost 20 years old and I find it difficult to look back on anything that distant and not see miles of room for improvement. So many things that I or we could have done better, to make a better album. But that I suppose is why we all continue to make music — it’s a life-long process of building and stripping away; finding the core of what we want to create and learning how to better execute it. Was the album was originally called In Technicolor? Where did California come from? That was indeed a title that we all agreed on, but of course, with any link to a corporate label with massive distribution and high profile, we were dissuaded from using a registered trademark for fear of legal backlash. I find this as ridiculous as our having to change the title of "Travolta". Neither of these titles are disparaging in anyway. To me they are part of the cultural domain that belongs to everyone. Yet, it is extremely difficult to argue with those who have the money. When we were throwing around titles that we thought summed up the vibe of that collection of songs both “In Technicolor” and “California” seemed fitting. Another one we had was “Map To The Stars”. Hollywood musicals, colorization, fabrication, the American dream —these were vague concepts that the song-writing just happened to suggest. I seem to remember staying up late one night and making a list of these titles and “California” was one of them. Certainly there is a nod to Brian Wilson and The Beach Boys. How was the writing for this record? Were you all together or did you contribute ideas individually? Over the course of 15 years our song-writing process became more and more individual. I think this was really just a reflection of us growing up and growing apart in a natural way. Back in the demo days we used to “jam” and come up with riffs together in a youthful and energetic way. The trials and tribulations of life that we all have to experience led us down unique paths as one would expect. We spent less time together and more time with other people creating our own circles. I see nothing wrong with this. Songwriting is a highly personal exploit and our distinctive paths separated us in a natural way. There is a lot of strength in that and voices become more refined. I seem to remember, probably because of our different schedules and priorities at the time, the initial push into a new writing phase being less than easy. Eventually we started making individual demos and trading tapes (as in cassette tapes, usually multi-tracked with a 4-track tape machine), throwing ideas around and seeing who responded to what. The songs that were collectively accepted got more refined and it wasn’t really until the recording process began that we started functioning a bit more collectively. The song “Vanity Fair” was one in which I had written a slow Marvin Gaye style verse with an awkward bridge and I had sort of lost faith in it as a complete song. Patton felt more inspired to do something with it than I did and he sped it up into a sort of doo-wop style and wrote a melody over it. Something like "Holy Filament", however, was presented complete from me to the band. I believe that None of Them Knew They Were Robots was written note-for-note by Trey. Goodbye Sober Day was Patton’s creation save for a riff or two that he appropriated from Bär. After the extensive musical experimentation of Disco Volante was there a conscious effort to write more 'traditionally arranged songs' for this record? In some sort of weird pattern of magic Mr. Bungle never discussed our projected direction. We never sat down and said, "ok the last record was like that so now let’s attempt this." Instead we individually brought things to the collective table that somehow coalesced without premeditation. The idea that we were all focusing on song forms came as much as a surprise to us as anyone else. Once the demos started rolling in we suddenly realized that we were all on the same page. This basically happened with all of our records and I can only attribute it to coming from similar backgrounds and having like-minded curiosity, and probably breathing in the same fumes from the local pulp mill. That is essentially what brought us together in the first place (the curiosity, not the pull mill). Like every Mr Bungle record the production is complex yet meticulously executed. How did you arrange the recording sessions? The recording of California was a bit of a nightmare. We attempted frugality by recording a lot in our rehearsal space which Trey had partially turned into a recording studio. But we also spread the work out over various outside studios with a number of engineers as well as additional musicians. In the end we had two 24-track tape machines and two ADAT machines linked. That record would have been much easier to manage had ProTools come along a bit sooner. Trey is credited on the album with “production strategy” and kept charge, in his own somewhat hermetic way, of the mess that was our tracking sheets. He could wax poetic for days if you ask him about the complex organization involved. In the end we spent our entire budget. Why did you decide to expand the personnel on this record and invite many other musicians to participate? Because we had more specific orchestration ideas than just a standard rock band. Ultimately it was a choice about coloring the record a certain way and not using fake sounding samples. There was a certain “authenticity” we were after. BungleFever.com briefly describes the inspiration behind The Holy Filament. Could you explain further? The title comes from a B. Kliban cartoon in which a Virgin Mary figure embraces a blanketed light bulb, clearly a play on “The Holy Firmament”. I took this pun and coupled it with a paragraph I had read in Louis Aragon’s Paris Peasant about the worship of modern technology. With my own take, I paired religion, surrealism, my favorite cartoonist and Western society’s submission to technology. In a sense I am basically liking artificial light to God and satirizing the human tendency to supplicate to it’s own inventions. Musically, I had written the melody and chord progression years earlier during the writing sessions for Disco Volante. At that time it was merely a rubato phrasing of guitar and synth. It’s working title was “long melody” and I remember specifically being interested in melodies that were longer that two or four bars which is still a popular and effective device. I think the melodies for "Carry Stress In The Jaw" and "Phlegmatics" are both coming out of that approach as well. That was sort of an anti-pop sentiment. In other words, I was trying to write longer phrases that were not necessarily catchy or easily reiterated, perhaps similar to the classical style of melodic writing. Could you elaborate a little as to the lyrics on Retrovertigo? The title is a conflation of “retro” or “retrograde” with vertigo, obviously — so I’m associating the concept of nostalgia and idolizing the “good ol’ days” with nausea, or a loss of balance. I was thinking of stylistic trends in fashion and music that I saw happening in a way I found vapid and superficial and I jokingly asked “if looking to the past is so cool, why not go back to famine and stylize that?” And then I thought, well, famine still exists actually. It has never completely gone away, it has out-lived all fads and there is a sickening imbalance to that versus people with too much money who are so bored and soulless that they latch onto trends. Again satirically, I am saying why not make famine a trendy, “old school” fashion for rich people? It’s not completely off the mark. The core of the lyrics is expressed in the line “sell the rights to your blight and you’ll eat”. I understand and empathize with the humor of irony and yet when it comes to social acceptance, glomming onto unoriginal trends and suppressing individuality I find irony a tool of weakness and fear. In the lyrics I say “Post-ironic remains a mouth to feed”. In other words, the “real” and the authentic and the genuine are starving to death while irony thrives and a bored and jaded Western culture markets that starvation. The rich get richer. The have and the have-nots, etc. I think this concept, along with what I was mentioning earlier about "The Holy Filament" — these ideas of superficiality, a self-deprecating society, blind worship, making the outside pretty and colorful while the inside rots — along with other songs on the record, are what congealed to make California our closest thing to a concept record. Have you seen the fan made videos for Pink Cigarette and Retrovertigo? I have and I’m always honored when someone makes an effort to couple their expression with ours. I’m always grateful to know that people are listening. Check out Trevor's latest project with Los Angeles based experimental rock oufit Qui. Trevor on Mr. Bungle Disco Volante. 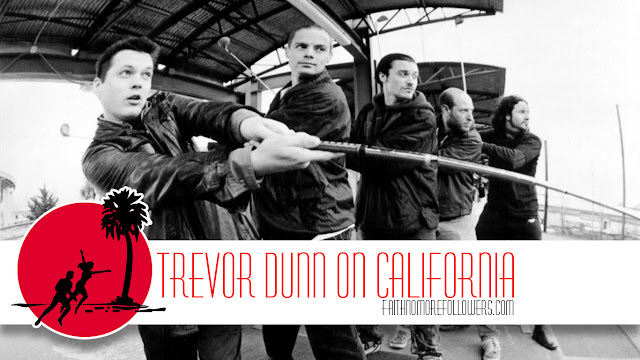 As a huge fan of the California-Album I appreciate this interview very much, so thanks a lot for that! 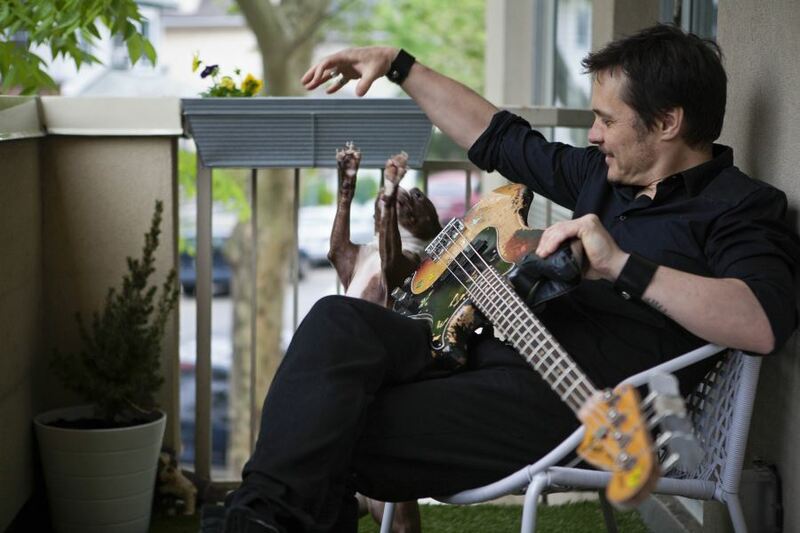 Trevor seems like a cool guy, obviously a great bassist. All the members of Mr. Bungle were/are still very intelligent mindful people and it showed through in the music. I'm glad Mr. Bungle happened, I'll listen to it forever.